For Part 1, please go here; Part 2, here; Part 3, here; Part 4, here; Part 5, here; Part 6, here; Part 7, here; Part 8, here. De Mohrenschildt had just spent the last half year in almost constant contact with Lee Harvey Oswald, who had recently returned from several years in Soviet Russia. De Mohrenschildt had done so, moreover, at the CIA’s request, or so he claimed. It seems unlikely that the sole topic of the New York meeting with WUBRINY/1 would have been sisal in Haiti. Nevertheless, in the minds of these people, sisal was apparently enough to hang a legend on. Now there was a documented and apparently benign reason that Thomas Devine (and by implication, Devine’s longtime associate George H. W. Bush) knew a man about to be under fierce scrutiny for his own ties to the alleged killer of the president of the United States. In case the “sisal” document of April 1963 was not enough, de Mohrenschildt next traveled to Washington, DC where he and his friend Mr. Charles met with other government figures, ostensibly to talk about sisal. Here the story gains a more intriguing layer – namely, the suggestion that de Mohrenschildt’s real purpose was to secure U.S. government backing for a coup d’état against the Haitian dictator François “Papa Doc” Duvalier. De Mohrenschildt and Charles appear to have obtained an audience with none other than Howard Burris, military adviser to Vice President Lyndon Johnson, with the prospect of meeting LBJ himself. Your letter has come in the Vice President’s absence from the office . . . I would like to suggest that you see Colonel Howard Burris, Air Force Aide to the Vice President, when you come to Washington. Should Mr. Johnson happen to have any office hours here during our stay, we will be happy to see if a mutually convenient time can be found for you to meet . . . With warm wishes, Sincerely, Walter Jenkins, Administrative Assistant to the Vice President. The Haitian coup therefore could have been intended as the operative story to explain why Oswald’s mentor de Mohrenschildt was interacting with powerful U.S. government figures in the period prior to the JFK assassination. The new story was introduced in 1978 testimony to the House Select Committee on Assassinations. The witness was Dorothe Matlack, assistant director of the Army Office of Intelligence, who explained that she had also met with de Mohrenschildt and that he raised the idea of the U.S. government playing a role in the coup. “I knew the Texan [de Mohrenschildt] wasn’t there to sell hemp,” Matlack said. This story would have been a clever one, since indeed an examination of de Mohrenschildt’s past, as noted earlier, shows him periodically in the environs of unfolding coups. Yet Matlack’s testimony served still another purpose – besides justifying de Mohrenschildt’s presence in meetings with LBJ’s adviser and with a CIA operative tied to Poppy Bush, it also justified any ties that would emerge between de Mohrenschildt and Army Intelligence. That last point, as we shall see, is especially critical, because Army Intelligence figures show up in key roles before, at the time of, and in the immediate aftermath of the assassination. Indeed, Matlack’s story would have rung true. De Mohrenschildt appears to have persuaded the Haitian Mr. Charles that he would be able to secure approval for the coup, and that Charles would be installed to replace Duvalier. It seems that de Mohrenschildt may have been directed to travel earlier to Haiti to persuade Charles to participate in the New York and Washington meetings – because he took a brief earlier trip to the island in March. What passed for the feeble beginnings of a coup did in fact occur in Haiti, soon after de Mohrenschildt arrived on the island. But it didn’t succeed, and perhaps wasn’t intended to. De Mohrenschildt and his circle had no apparent problem with Papa Doc, even if the Kennedys did. Duvalier, who was generally considered a friend by many elements in the U.S. military and intelligence establishment, did not suffer greatly. De Mohrenschildt’s “friend” Clemard Charles wasn’t so fortunate. The Haitian dictator jailed him for approximately a decade. Thus, Charles himself may have been another unwitting pawn. Whether or not by design, the Haiti story served as the ultimate cover. It explained why de Mohrenschildt would know all these powerful people, and did so in the context of a supposed plot to depose a hated foreign leader. Let’s play the tape again: De Mohrenschildt travels to the East Coast in the spring of 1963, on a mission that takes his story away from Poppy Bush, Jack Crichton, and others in the Texas intelligence network. His trail leads instead outside the United States, to geopolitical intrigue that is totally unrelated to Lee Harvey Oswald, the Soviet Union, or what was happening in Dallas. Even if disclosed, this new story would cause no great upset to the American people. Removing Duvalier and promoting democracy in the hemisphere were aims of the revered Kennedy himself. It might seem impossibly convoluted. But in the shadow world of covert operations, it would be business as usual. There was even cover for the Domestic Operations division, a CIA program that was, on its face, problematical under the agency’s charter from Congress, which forbade its participation in any domestic surveillance or police operations directed at the American public. The domestic division maintained an entire floor at 1750 Pennsylvania Avenue, near the White House. 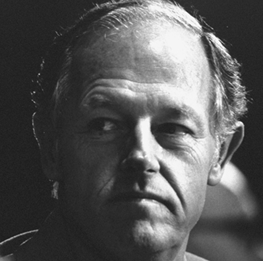 Among its operatives, according to his own testimony before Congress, was Dulles’s friend E. Howard Hunt, previously associated with the coup in Guatemala and the Bay of Pigs invasion, and subsequently convicted in Watergate. Within hours after Devine met with de Mohrenschildt at the Knickerbocker Club, a Domestic Operations case officer in Washington was creating the legend that the domestic division, like WUBRINY, had no idea who de Mohrenschildt really was. The officer, Gale Allen, requested an “expedite check” of this supposedly unknown character. He got back a report from 1958 when de Mohrenschildt had returned from Yugoslavia and briefed J. Walton Moore of the CIA’s Dallas office. This way, if de Mohrenschildt later claimed he knew Moore, it could be attributed to this innocuous 1958 briefing rather than the 1961 lunch to talk about Oswald. To anyone who tried to follow this trail, it would appear that domestic operations was unfamiliar with George de Mohrenschildt. Were investigators to dig a bit further and happen upon the reports from WUBRINY, they would learn that George de Mohrenschildt was a self-aggrandizing entrepreneur with a taste for intrigue. Dig still further, and they would learn that he was a friend of a Haitian banker who had been eager to foster a coup d’état against the evil President Duvalier. Each layer of this plausible cover story would lead the investigator further from the truth. They even provided cover for the powerful oilmen who sponsored de Mohrenschildt’s travels to hot spots, ostensibly to represent their business interests. The Warren Commission reviewed some correspondence that shows meetings between de Mohrenschildt and these oilmen. In every case, the letters purport to relate to sisal, though some of the letters are suggestive of an unspoken alternative agenda. For example, one 1962 letter, to de Mohrenschildt’s Dallas White Russian community “godfather” Paul Raigorodsky from the oilman Jean de Menil, who himself provided weapons to Cuban exiles, thanks the Russian for sending de Mohrenschildt around, and refers to some idea of de Mohrenschildt’s as not being “very well cooked” but does find it “slightly visionary.” It is hard to see sisal planting as even slightly visionary. Yet this was indeed de Mohrenschildt’s cover, and it proved effective. There were numerous assassination inquiries in the 1970s, all in response to the failings of the Warren Commission. But none came close to penetrating the layered accounts I have just described. In fact, they did not even sniff the trail. One thing seems indisputable. By the time the de Mohrenschildts left the United States for Haiti in May 1963, Lee Harvey Oswald had been turned into a man with multiple personas, all of them capable of killing Kennedy. Oswald hated Kennedy either because he – Oswald – admired Castro or because he was anti-Castro. Perhaps Oswald was angry at Kennedy over the Bay of Pigs fiasco, or else he just liked to take potshots at important people. He was fond of guns, a bit violent, and even sometimes beat up his wife. He was a potential time bomb with a short fuse. There was something in the lurid saga of Oswald to fit almost any theory, and therefore to confirm none. Whether Oswald was complicit or not in the process, his background and activities had been so muddled that no one would ever figure him out. Or settle for sure whose side he had been on. Or determine whether he was acting on his own or taking orders when he fired at Kennedy – if in fact he did. Five months after de Mohrenschildt left for Haiti, Oswald obtained a job in a building along what barely six weeks later would be the Kennedy parade route. That building would become known as the Texas School Book Depository. In the years since, there has been endless debate over which weapon fired the fatal shots, whether it was Oswald who fired them, where the shots came from, ad infinitum. There has been not enough attention paid to the building itself and how Oswald happened to be there. 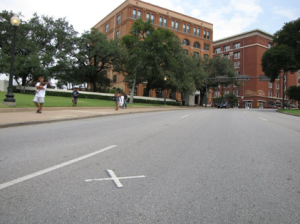 Some theories contend that Oswald – or anyone who might have been directing him – could not have known that the motorcade would pass by the Book Depository at the time he took the job there. 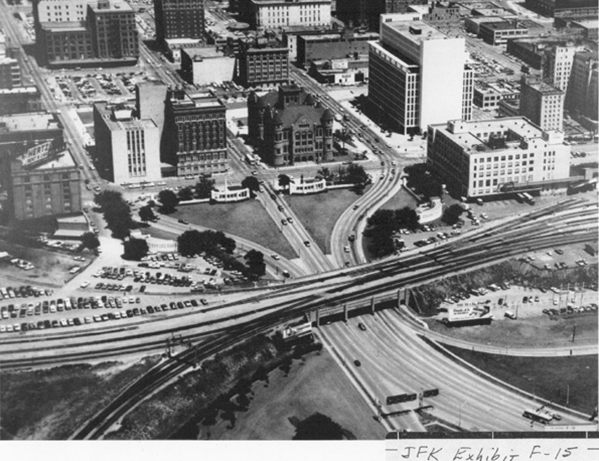 But there were only two possible routes through downtown to JFK’s destination, the Dallas Trade Mart, and the Book Depository building stood on one of them. If someone wanted to put Oswald along the route, he could have arranged for Oswald to secure a job in the Book Depository building, then selected the route that passed by there. Officially, the decision to reroute the motorcade from Main Street to Elm, in front of the Book Depository building, was made only a week before the event – by two Secret Service agents. But that does not mean that a determination of the final route was not made much earlier by someone who could share the information with Oswald or someone connected with him. 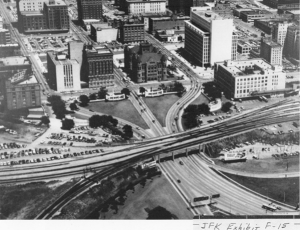 In any case, if it was Oswald’s intention to kill JFK from the Book Depository, he on his own could not possibly have known what the route would be at the time he obtained his job in the building. Only an insider involved with shaping JFK’s trip could have had any confidence that the Depository building would be on the ultimate route of the motorcade. The process that resulted in Oswald’s hiring at the Book Depository is yet another facet of the story that has gotten short shrift. Usually his presence in the building is portrayed as an accident of fate. Yet recall that the owner of the building was one D. Harold Byrd, a right-wing oilman, founder of the Civil Air Patrol, avid Kennedy hater – and a friend of both Clint Murchison and George de Mohrenschildt. This all could be coincidence, but surely it is the kind of coincidence that invites a few more questions. Yet when I began researching Byrd, I was stunned to find that his name did not even appear in the vast majority of books by Kennedy assassination authorities, nor was he even interviewed by the Warren Commission. 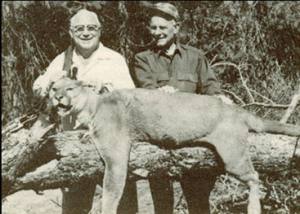 I found further that not only had Byrd employed de Mohrenschildt at his Three States Oil and Gas Co. during the 1950s, but that the connection went deeper still. Documents I studied show that in September 1962, just weeks before he began to squire Oswald, George de Mohrenschildt incorporated a charity ostensibly devoted to the study of cystic fibrosis – and put D. Harold Byrd’s wife on the board. Mrs. Byrd’s role on the charity board would have created a convenient excuse for de Mohrenschildt to have been interacting with her husband during this period. Other board members included Paul Raigorodsky, J. Edgar Hoover’s good friend and the White Russian community’s godfather. On May 24, 1963, in Dallas, the U.S. Air Force presented to D. Harold Byrd its Scroll of Appreciation for his work with the Civil Air Patrol (where Oswald was a cadet). Among the Air Force generals he counted as friends was Charles Cabell, Allen Dulles’s CIA deputy director, key Bay of Pigs figure, and brother of Dallas mayor Earle Cabell, also a good friend of Byrd’s. So how did Oswald end up working at this building that belonged to a friend of de Mohrenschildt’s? The most widely accepted explanation is that Oswald got the job indirectly – via Ruth Paine, the new “friend” who had come to him through the efforts of the de Mohrenschildts, and who was providing a home for Oswald’s wife, Marina, and their daughter. Paine purportedly heard about the Book Depository from a neighbor, one Linnie Mae Randle, whose brother already worked there. But missing from these accounts is that the neighbor’s brother had obtained his job there just slightly ahead of Oswald. Moreover, the brother had moved from a small Texas town to Dallas shortly beforehand. 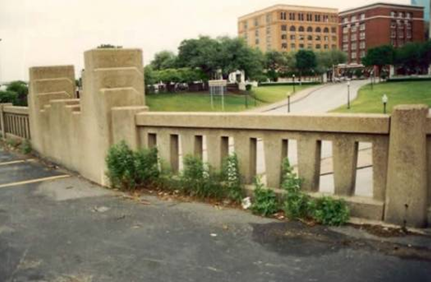 Given what we now know about George de Mohrenschildt’s close relationship with Byrd, owner of the Book Depository building, and the chain of events that followed, it is plausible that Oswald’s hiring could have been deliberately orchestrated through this chain to obscure the underlying direct connection. I was advised by the Secret Service not to be connected with her, seems like she was . . . not connected . . . she was sympathizing with the CIA. She wrote letters over there and they told me for my own reputation, to stay away. Is it possible that the brother was hired as a player – or in spycraft parlance, a “cut-out” – who could “refer” Oswald to a job in this particular building? This might seem speculative, but other pieces of the puzzle do point in that direction. I was surprised to learn, for example, that the building was almost completely devoid of tenants until about six months before the assassination. I was even more surprised to learn that the very name, Texas School Book Depository, is misleading. It sounds like a building where the state of Texas kept schoolbooks. But in fact, Texas School Book Depository was the name of a private company, which had operated out of another location before it moved into the building on Dealey Plaza in the spring of 1963. Until then, the structure was known as the Sexton Building. The officers of the Book Depository Company were – like Byrd, Murchison, and their core group – outspoken critics of Kennedy, and also major military buffs. Its president turned out to be one Jack Cason, who was also the long-time head of the local American Legion post, a leading forum for hard-line military views. The company, like all publishers and distributors of books that shaped the perceptions of young Americans – of all Americans – was of keen interest to the propaganda machinery of the U.S. government, and the intelligence community. Allen Dulles was even a member of the advisory board of Scholastic Magazines, whose publications were distributed to schoolchildren throughout the country. These operations at least seem to offer a plausible explanation of why a man like Cason, affluent and socially connected, deeply involved in anti-Communist and military-themed activities, might choose to bypass more traditional pursuits such as oil and banking in favor of the textbook distribution business. The important point here is that a division of the CIA was producing general nonfiction books, and it would not be inconceivable that it was also interested in the textbooks distributed by companies such as the Texas School Book Depository. Allen Dulles even infiltrated that paragon of objectivity the Encyclopaedia Britannica, whitewashing the agency’s Bay of Pigs fiasco in an article in the 1963 Book of the Year. It is worth noting that D. Harold Byrd, a big-game hunter, decided to take his first-ever foreign safari – to Africa – during this period. That removed him from Dallas precisely when the assassination took place. Besides Byrd’s far-right politics, his founding role in the Civil Air Patrol, and his ties to de Mohrenschildt, he evidently rejoiced in Kennedy’s assassination – as suggested by the macabre fact that he arranged for the window from which Oswald purportedly fired the fatal shots to be removed and set up at his home. 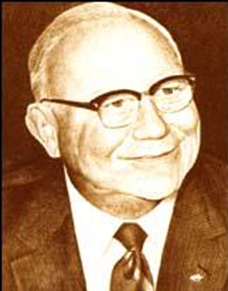 As far as we know, on November 22, 1963, George de Mohrenschildt was far away from Dallas too, managing his “business ventures” in Haiti. According to the record, de Mohrenschildt and Oswald had no contact during the prior six months. It was this hiatus, and de Mohrenschildt’s physical absence from the United State, that enabled the Warren Commission to discount his otherwise glaring relationships with Oswald and Oswald’s pre-assassination “handlers” in Dallas. Not to mention his many links to members of the Texas Raj, who were noted for their anti-Kennedy animus and extensive ties to the national intelligence apparatus. One curious matter concerns some communications about de Mohrenschildt in June 1963, between the Republic National Bank in Dallas and Brown Brothers Harriman in New York – where ex-senator Prescott Bush had just resumed work as a senior partner. The date is important because it is just after de Mohrenschildt leaves for Haiti. Why this confidential client would ask a bank in New York about a man based in Texas – and this bank in particular – is not made clear. The thread, or fiber, tying this mini-episode to the larger unfolding drama is sisal. It gave yet more prominent people – including top officials at Republic National Bank and Prescott Bush at Brown Brothers Harriman – the same cover story it provided to everyone else: if anyone discovered that they had been dealing with de Mohrenschildt, they could claim that their sole motive was to make money off Haitian sisal. The coincidences mount. 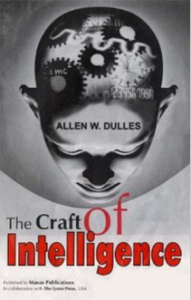 After his dismissal as director of the CIA, Allen Dulles had written a book called The Craft of Intelligence – with the assistance of E. Howard Hunt. As might be expected, it was hardly a tell-all exposé. Reviewers were generally unimpressed, especially with the innocuous anecdotes. “It is a book that could as well have been written from an outside, as from an inside, view,” wrote one critic. The book did, however, give Dulles a reason to remain in the public eye – including a visit to Dallas in late October 1963. Although excerpts had been published, most notably in Harper’s, starting at the beginning of the year, The Craft of Intelligence was held for release until the fall. This version was published in 2007. This gives us Dulles in Dallas, scant weeks before the assassination; Al Ulmer, the foreign-based CIA coup expert, in Texas and visiting with Poppy Bush; E. Howard Hunt, top Dulles operative and covert operations specialist, said by his own son to have been in Dallas; and Poppy Bush in Dallas – until he leaves town either the night before or on the very day of the assassination and places his covering alibi phone call from Tyler, Texas. Oswald’s all-too-public “friend” George de Mohrenschildt is safely off on important business in Haiti, and D. Harold Byrd is off on a safari. Again, this scenario may mean nothing. It all may just be coincidence. But the confluences among this cast of characters are at the very least remarkable. It does not take a hypercharged imagination to construe a larger story of which they might be part, or to wonder why these people might have gone to such lengths to create “deniability” concerning any connections to the events in Dallas – unless they had a connection. Another salient fact is that, on the day of the assassination, Deputy Police Chief George L. Lumpkin was driving the pilot car of Kennedy’s motorcade, a quarter mile ahead of JFK’s vehicle. Lumpkin was a friend of Jack Crichton, Poppy Bush’s GOP colleague. Like Crichton, moreover, he was a member of an Army Intelligence Reserve unit. (Lumpkin would later tell the House Select Committee on Assassination that he had been consulted by the Secret Service on motorcade security, and his input had eliminated an alternative route.) In the car with Lumpkin was another Army officer, Lieutenant Colonel George Whitmeyer, commander of all Army Reserve units in East Texas, who happened to be Jack Crichton’s boss in the Reserve. Although Whitmeyer was not on the police list of those approved to ride in the pilot car, he had insisted that he be in the vehicle and remained there until the shooting. The only recorded stop made by the pilot car was directly in front of the Depository building. Lumpkin stopped briefly there and spoke to a policeman handling traffic at the corner of Houston and Elm. To the right of the motorcade, in front of the grassy knoll, stood Abraham Zapruder with his camera, ready to capture the 8-millimeter short film that would make his name famous. Zapruder is widely characterized as an innocent bystander, simply an onlooker who happened to capture historic footage that would dominate the evidentiary debate. Innocent he may well have been, but hardly unknown in Dallas intelligence circles. It turns out that the short, bald recorder of history was also a former colleague of Mrs. de Mohrenschildt, who worked with her at Nardis when she first moved to Dallas. Zapruder also sat on the board of Neil Mallon’s Dallas Council on World Affairs. Like numerous figures in this story, he had a propensity for groups built on loyalty and secrecy, having sustained the status of thirty-second-degree Freemason. The film he would make on November 22 would soon be purchased by Henry Luce, a Skull and Bones colleague of Prescott Bush and a devotee of intelligence – whose wife, Clare Booth Luce, had personally funded efforts to overthrow Castro. Henry Luce had warned that JFK would be punished if he went soft on Communism. After quickly purchasing the original Zapruder film, Luce’s Life magazine kept it in lockdown until New Orleans D.A. Jim Garrison successfully subpoenaed it in 1969. 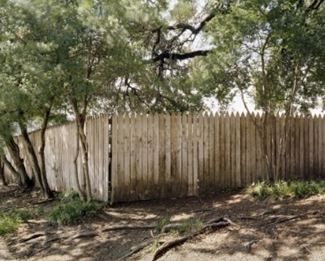 At the moment that Kennedy’s car passed the Stemmons Freeway sign on Elm Street, a man standing in front of the grassy knoll opened an umbrella and pumped it repeatedly above his head. Even the House Select Committee on Assassinations found it strange, given that it was a gloriously sunny day. Next to him was a man with a dark complexion who appeared to be speaking on a walkie-talkie shortly after shots were fired. 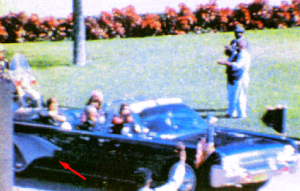 Frame 228 of the Zapruder film. Arrow points to opened umbrella. In 1978, one Louis Steven Witt came forward to identify himself as the “Umbrella Man.” A self-described “conservative-type fellow,” Witt claimed that he had opened his umbrella repeatedly because a colleague had told him that the gesture would annoy the president. He did not elaborate on why anyone would have thought this. In his testimony before the House Select Committee on Assassinations, he lamented that “if the Guinness Book of World Records had a category for people who were at the wrong place at the wrong time, doing the wrong thing, I would be No. 1 in that position, without even a close runner-up.” He also claimed to have no recollection of the dark-complexioned man, though photos show the two men speaking. Witt’s curious and seemingly choreographed umbrella opening remains another question mark on a day full of perplexing coincidences. If indeed it can be established that Oswald was being guided to his destiny – either because he would become the shooter or because he would be framed for the shooting – then whoever was running him, and whoever was controlling Oswald’s controller, were integral parts of a plot. By now, we have enough information to show, fairly conclusively, that Oswald was being managed by Poppy’s old friend de Mohrenschildt. We also have others connected with Poppy closely associated with the events of November 22. And we have Poppy creating an alibi for himself. Details on who fired the gun, whose gun it was, and how many shots were fired from where remain relevant, but become of secondary importance. The central question is the story that lies behind these details. Poppy Bush was closely tied to key members of the intelligence community in cluding the deposed CIA head with a known grudge against JFK; he was also tied to Texas oligarchs who hated Kennedy’s politics and whose wealth was directly threatened by Kennedy; this network was part of the military/intelligence elite with a history of using assassination as an instrument of policy. Poppy Bush was in Dallas on November 21 and most likely the morning of November 22. He hid that fact, he lied about knowing where he was, then he created an alibi based on a lead he knew was false. And he never acknowledged the closeness of his relationship with Oswald’s handler George de Mohrenschildt. Poppy’s business partner Thomas Devine met with de Mohrenschildt during that period, on behalf of the CIA. Poppy’s eventual Texas running mate in the 1964 election, Jack Crichton, was connected to the military intelligence figures who led Kennedy’s motorcade. Crichton and D. Harold Byrd, owner of the Texas School Book Depository Building, were both connected to de Mohrenschildt – and directly to each other through oil-business dealings. Byrd brought in the tenant that hired Oswald shortly before the assassination. 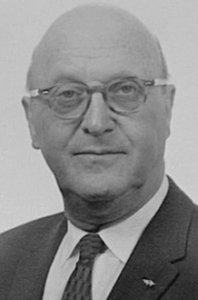 Oswald got his job in the building through a friend of de Mohrenschildt’s with her own intelligence connections – including family ties to Allen Dulles. 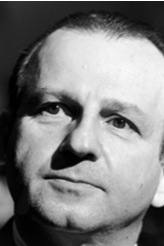 Even Jack Ruby’s slaying of Oswald fits the larger pattern seen here – one in which Oswald is indeed a “patsy” – a pawn in a deadly game who would never be permitted to say what he knew. Ruby himself practically admitted as much. After his trial, he made a statement to reporters as to his motives in shooting Oswald, and essentially admitted to a conspiracy. RUBY: Everything pertaining to what’s happening has never come to the surface. The world will never know the true facts, of what occurred, my motives. The people had, that had so much to gain and had such an ulterior motive for putting me in the position I’m in, will never let the true facts come above board to the world. REPORTER: Are these people in very high positions, Jack? As with so many events in his life, Poppy had been very careful about November 22, 1963. Thanks to the Kiwanis lunch, Barbara’s letter, and the Parrott phone call, he could reasonably claim to have been “out of the loop,” even while people he knew certainly appear to have very much been in it – or far too close for comfort. In any case, as we shall see in the next chapter, there was still more to the story.